Call a Local Hartford bail bondsman now! 3-D Bail Bonds in Hartford CT is open 24 hours. We have bail bondsmen at the Hartford police station, Hartford court GA-14 located on Lafayette St. and the Hartford Community Court located on Washington St. When your loved one has been arrested, every minute counts, which is why our bail bondsman in Hartford CT is ready to provide fast, reliable, 24/7 bail bonds service to people throughout the Hartford area. 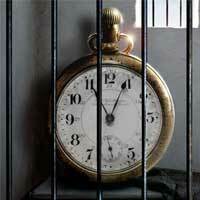 The experienced Hartford bail bondsmen know how overwhelming and confusing the legal process can be. So they strive to handle all of the bail bond issues with the utmost compassion and discretion. In any situation, you can depend on the bail bondsmen at 3-D Bail Bonds. They’ll get your loved one out of custody with a quick and easy process, affordable payments, and as fast as possible. 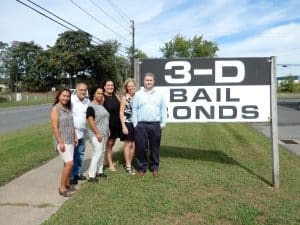 3-D Bail Bonds agents are always prompt and courteous, and they strive to provide the highest possible level of service. When the process takes hours, they’ll even wait at the jail so you don’t have to. Hartford Bail Agents also offer a variety of creative financing bail solutions for those who need them. 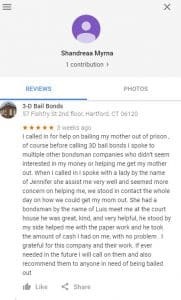 Learn more about How To Post Bail Bonds using a Bail Bondsman in CT.
Are you attending court in Hartford CT? We can help! CT Online Infraction Ticket Processing: Pay Your Ticket or Plead No Guilty by visiting their website. CT Official Court Forms: Criminal Forms Online (Motions, Misdemeanours, Violations, Sentence Modification, Youthful offender, Pretrial and more). Find Criminal/Motor Vehicle Cases here: Arrest Warrants – Pending Cases – Convictions. Bail agents can post bail bonds at all Hartford jails all the time. 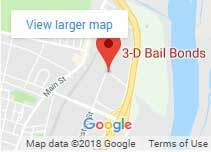 Visit 3-D Bail Bonds online to learn more and find your nearest office, or call 860-247-2245 to speak with a bondsman in Hartford today. 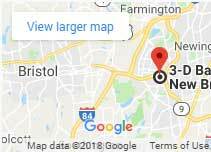 Our CT Bail Bonds Service has been rated among the Top Three Best-Rated bail bond companies in CT.
Hartford Bail Bondsmen are serving all of Hartford, Connecticut – Find our local Hartford CT Listings on trusted sites like About Bail, BBB Accredited Business Profile. Read what our customers are saying on Yelp and Google!